In last few months, the Turnbull government of Australia has made some key changes to its immigration rules and process requirements. A few of such changes are, abolition of popular Subclass 457 visa, change in occupation lists, citizenship process amendments, etc. All these steps are being seen as the efforts to curb the immigration influx in the land down under. Under such circumstances, the aspirants and applicants of Australian visa are bamboozled about their decision, i.e. plan immigration to Australia or not? Well, despite the few steps taken by Oz government to control the immigration, Australia is still the top choice for immigration and permanent residency. The permanent residency process in Australia is still easier and uncomplicated compared to top advanced nations, such as, USA and UK. Moreover, Australia’s top livable cities, infrastructure, professional opportunities, etc. make it the top country to apply and obtain permanent residency. Let’s take a look at Australia’s global ranking as per US News and World report. As you can see above, Australia is 5th best country for quality of life and 2nd best for comfortable retirement parameter. It is also 8th best country in the world as far as citizenship parameter is concerned. 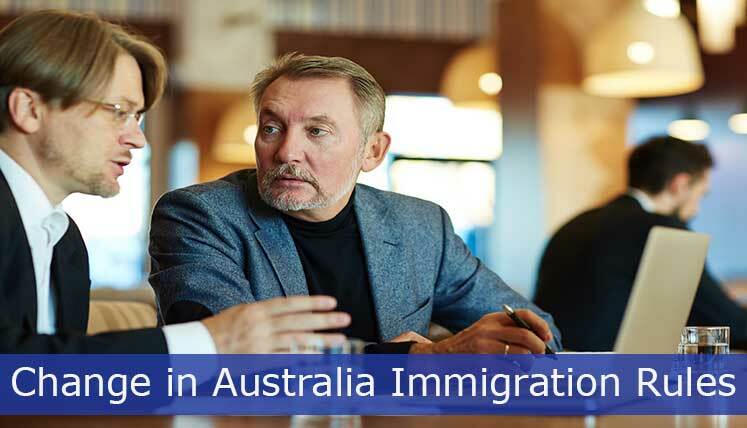 Although, Australia has made few of its immigration rules strict in the recent past, however, one cannot deny the fact that it still need skilled and talented professionals from overseas to meet the ongoing skill shortage across its various states and territories. Australian industries and employers need skilled professionals, which they don’t usually get in the country. This is the reason that Australian government every year releases the high demand skilled occupation list. The applicants interested in Australia immigration, nominate an occupation based on their skill and experience and accordingly apply for the most relevant skilled visa in Australia. Australia’s General Skilled Migration (GSM) program is one of the best online point based program in the world. The GSM has three key visa categories, i.e. Subclass 189, Subclass 190 and Subclass 489 visa. All of the three visa categories under GSM are point tested visas. The applicants applying for these visas are evaluated based on their age, education, English proficiency, work experience, etc. Accordingly, every candidate gets a point score, which must be 60 minimum to qualify as the applicant. The DIBP open an invitation round periodically to select the candidates with top immigration point score. If you wish to apply for Australian PR visa through an expert visa professional, you may get in touch with Visas Avenue Immigration- a leading and registered Australian Visa Consultancy Company in India. You may contact Visas Avenue certified Australia immigration expert by calling on Toll-Free Number- 78-18-000-777. Alternatively, e-mail your queries to Visas Avenue e-mail id- info@visasavenue.com. Which is best Australian Visa Consultant in Chennai to apply Subclass 189 Visa?